Should you be a huge Hunger Games fan with an insane amount of disposable income, or a real estate developer who detests the tedium of actually developing real estate, CNBC has a deal for you: North Carolina’s Henry River Mill Village—the abandoned town that stands in for the film’s post-apocalyptic Appalachian slums—can be yours for the asking price of $1.4 million, which nets you the entire 72-acre property and every still-standing building on it, including the Everdeen family shack and the bakery that was the backdrop for a meaningful flashback involving a loaf of burnt bread. The town’s current owner—an 83-year-old named Wade Shepherd who CNBC hilariously notes is “not a Hunger Games fan and hasn’t read the books”—originally bought the former cotton-manufacturing village in order to protect his own home across the river. 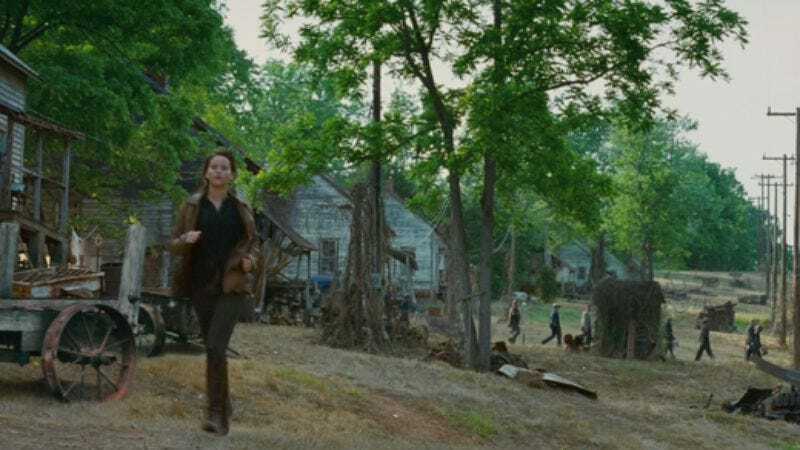 But of course, The Hunger Games has already made the town a very popular tourist destination, and now Shepherd is just trying to get these damn kids off his dead lawn. Of course, buying up Hunger Games Village and turning it into an attraction seems like a wise investment for some forward-thinking P.T. Barnum-type—if not Lionsgate itself—but in the meantime, it’s still out there on the open market. So there’s still a chance for Hunger Games fans to pool their money and buy it as a group, so they can get together for dystopic sleepless sleepovers and starving parties and whatever else it is that Hunger Games fans do.